Hyundai has launched the anniversary edition of the Next Gen Verna mid-size sedan. Verna is in its third generation in India and fifth worldwide. The car was first launched here in 2006 and then got a generation change in 2011. The third generation of Verna was introduced in India last year and this anniversary edition is launched to celebrate its 1st anniversary here. This new edition of the car will be limited to 1000 numbers and gets few cosmetic changes & additional features. In addition to this, the car will carry all the features of the SX(O) variant like a sunroof, ventilated seats, smart trunk, telematics etc. Hyundai Verna Anniversary Edition will be offered with both Petrol and Diesel engine options. The petrol engine is a 1.6L one producing 123PS power and 15.4KgM torque. This engine comes mated to a 6-speed manual and a 6-speed automatic gearbox. The diesel engine on offer is a 1.6L CRDI engine producing 128PS power and 26.5 KgM of torque. It comes mated to a 6-speed manual gearbox. 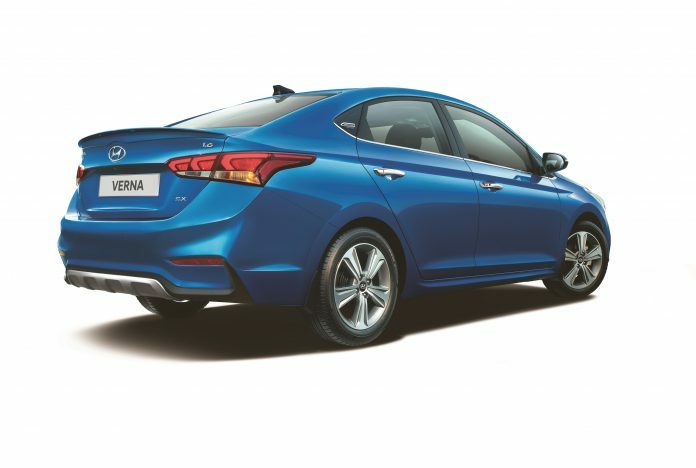 Since its launch, Verna has won many awards in India and has been one of Hyundai’s most successful offerings here. They have already sold around 53,000 units domestically in the past one year. The car competes against the Japanese heavyweights like the Maruti Suzuki Ciaz, Honda City and also the Europeans like the Volkswagen Vento, Skoda Rapid.